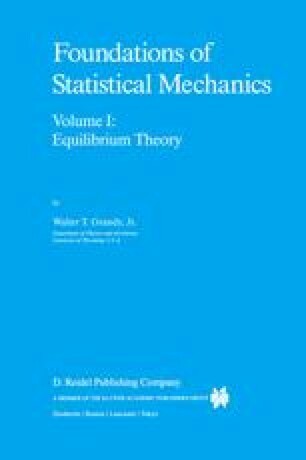 Some reflection upon the problem of describing the properties of a physical system possessing a very large number of degrees of freedom suggests that it reduces to a matter of probable inference. As observed earlier, although it may be possible in principle to solve the N equations of motion the question becomes moot when it is recognized that it is virtually impossible to specify the set of N initial conditions necessary to make predictions from the solutions. One never has complete knowledge of these microscopic initial states and, even if such information were available, that amount of data would certainly overwhelm human capacity to deal with it.